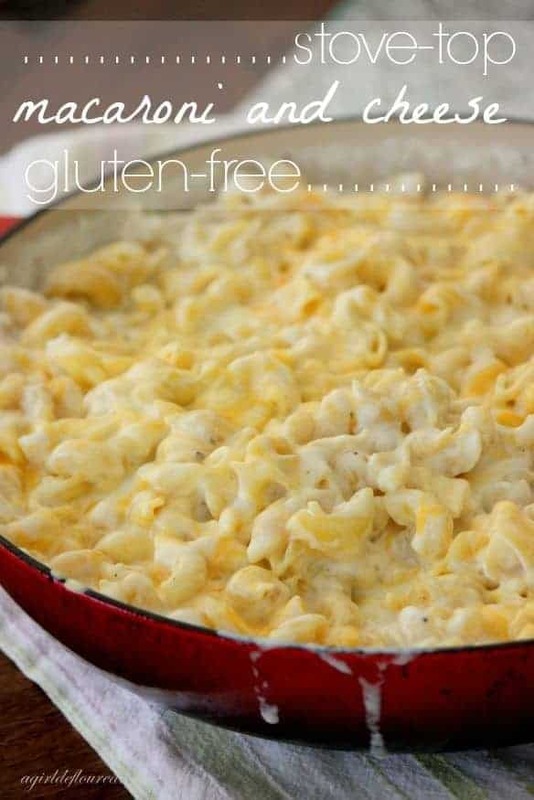 My kids agree on practically nothing when it comes to dinner–this recipe for macaroni and cheese included. My middle son, under no circumstances, will eat pasta. My oldest son practically eats nothing but pasta (with meat sauce). And their sister prefers her pasta to come slathered with a creamy alfredo sauce or cheese. However (embarrassingly) she always liked the boxed mac & cheese more than any homemade version I served her. So I gave up on homemade macaroni & cheese for a long time. Why bother to make a from-scratch sauce when my kids just turned up their nose? But then I discovered a method to make it on the stove top that everyone (except my one son who refuses pasta) loves–adults included. 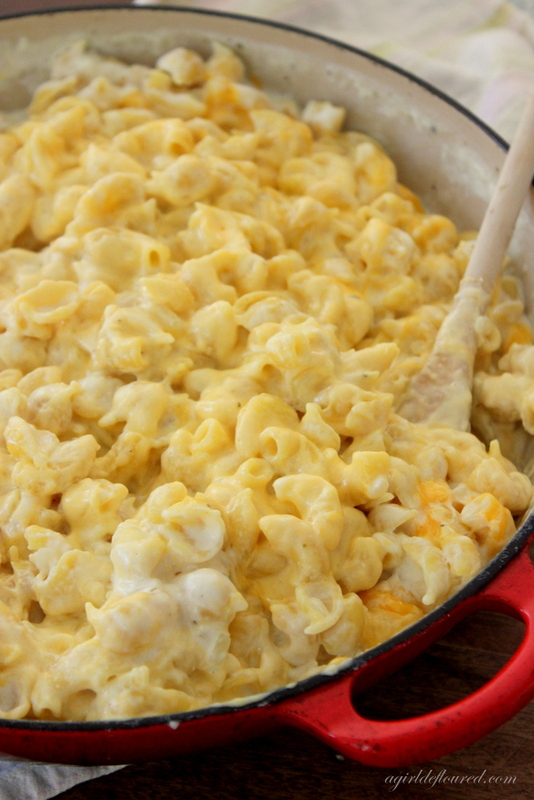 Stove top macaroni and cheese is kind of revolutionary really. And all kinds of crazy awesome. I must warn you, though, this is NOT a health food…you’re not one of those people who thinks being gluten-free will help you lose weight, are you? Good. The one caveat to this dish is that it must be served immediately or the sauce can become clumpy. But I think you’ll find that once you set this dish on the table, it will disappear in a few seconds flat. I discovered a method to make macaroni and cheese on the stove top that everyone loves–adults included. It’s kind of revolutionary really. And all kinds of crazy awesome. Melt the butter in a large skillet over medium-low heat. Add the onion and cook for 5 minutes, stirring occasionally until onion is soft and translucent. Stir in the oregano, salt and flour and cook for 1 minute more. Add the half and half and pasta and bring to a boil. Cover, reduce heat to low and simmer for 15 minutes or until pasta is cooked through. Add the cheese and stir until melted. Serve immediately. 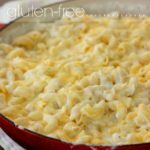 This incredibly simple stove top mac & cheese far surpasses any recipe I’ve tried in both flavor and texture. It is crazy rich and crazy delicious. For my family of 5, I always double the recipe and for best results, serve it immediately–as it sits the sauce will begin to thicken. This entry was posted in Main Dishes, Recipes, Recipes & Techniques by Cooks We Love and tagged A Girl Defloured, Alison Needham, G-Free Foodie, gluten free cooking, gluten free diet, gluten free food, gluten free parenting. Bookmark the permalink. This looks super creamy and cheesy! It is – it&apos;s delish!